The largest air filter in your home is not your air conditioner, it’s your carpets! They are tiny little magnets for all the allergens, dirt and dust that gets tracked into your home from everyday traffic from you, your kids and the family pet. Carpets need to be cleaned on a regular basis to maintain their health and appearance. When you have pets, you will find yourself vacuuming and spot clean more often due to the ever present pet fur, food and dirt they leave behind. Poor maintenance of your floors can also be a large source of allergies. The majority of dirt and soil lying in our carpeting, approximately 79% according to IICRC, is dry soil. Performing regular maintenance, especially vacuuming, can help prolong the health and appearance of your flooring. Every cleaning and maintenance routine, as thorough as it may be, will eventually require a professional touch. 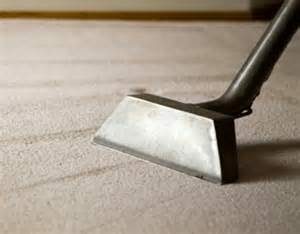 With a wide variety of carpet cleaning techniques available, you need to make sure the proper one is used for your specific carpet style and its needs. We begin every cleaning with the application of specialized cleaning agents designed to attract and pull up dirt upon application. We follow this up with a detailed vacuuming to remove as much of the residual dirt, dust and allergens from your carpeting and rugs. This method, also known as the dry cleaning method. The next step in our pre-treatment process is. We spray the surfaces with a professional strength cleaning solution while the machine works the solution deep within the carpet, followed by wet-vac extracting the solution along with the dirt, stains and grime from deep down within the carpet fibers. Leaving a fresh smell while also brightening the overall appearance. This process is usually effective, however, some dirt can still remain depending on the type of carpet as well as the amount of dirt and staining. 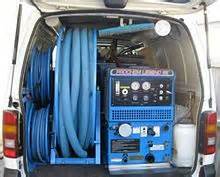 The preferred method for maximum effectiveness is our steam cleaning and hot water extraction. Our heavy-duty equipment injects a proprietary blend solution of detergents and hot water into the surface. The chemicals and dirt combine and are then high pressure extracted. This carpet drying and vacuuming step is important because any remaining moisture can lead to mold which will wreak havoc on your carpet, create a foul odor and may lead to severe allergies. Depending on the extent of soiling, steam cleaning combined with dry cleaning and shampooing may be required for optimum carpet restoration. We finalize every cleansing with a fresh scent deodorizer, leaving your home smelling clean and revitalized. We also offer a topical sealant which is excellent at multitasking as a stain repellent, minimize soiling in high traffic areas, fading and color preservation. With our wide array of carpet restoration services available, as well as our other cleaning services including upholstery cleaning, draperies, air vents, tile flooring, even sewage clean up, you’ll have no trouble selecting the service that is best for your home or business needs. Legacy Restore is here to provide unmatched professional customer service.